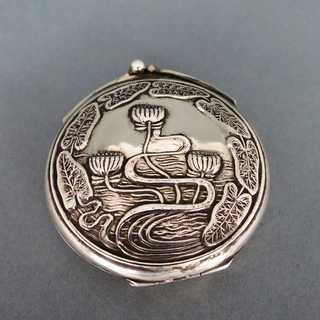 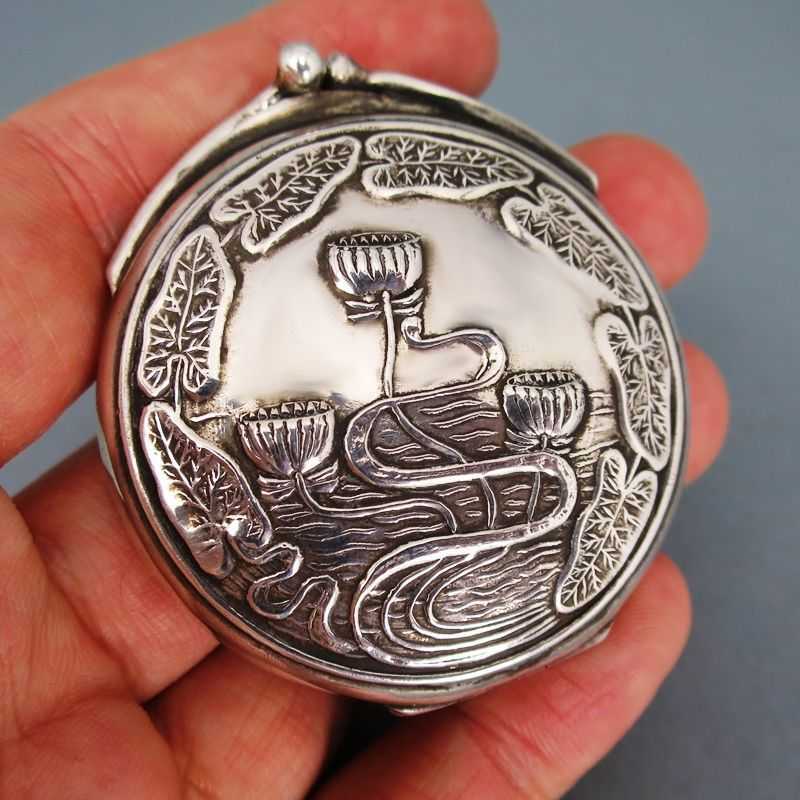 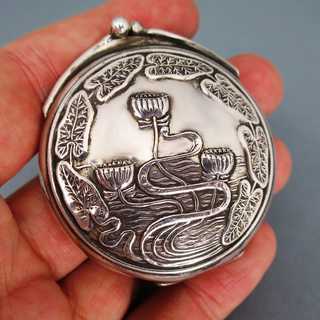 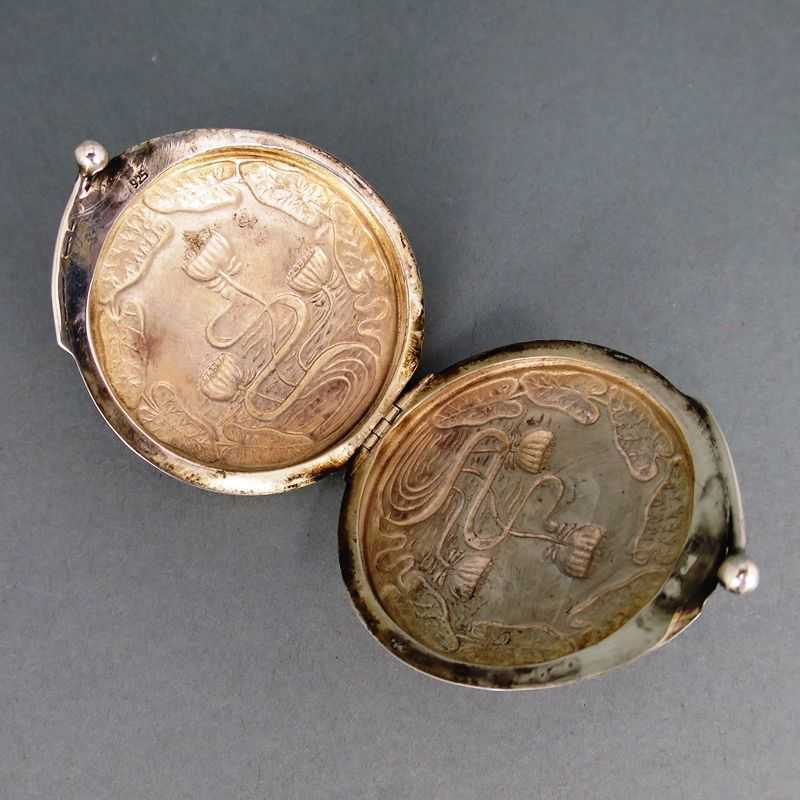 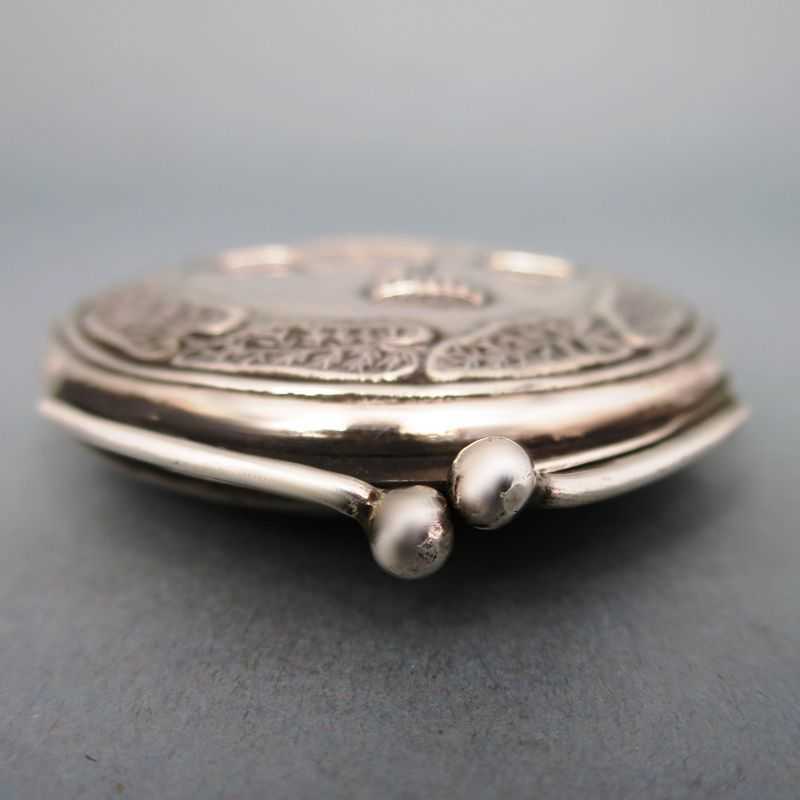 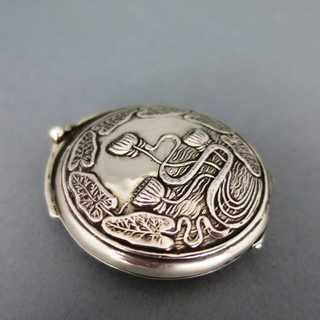 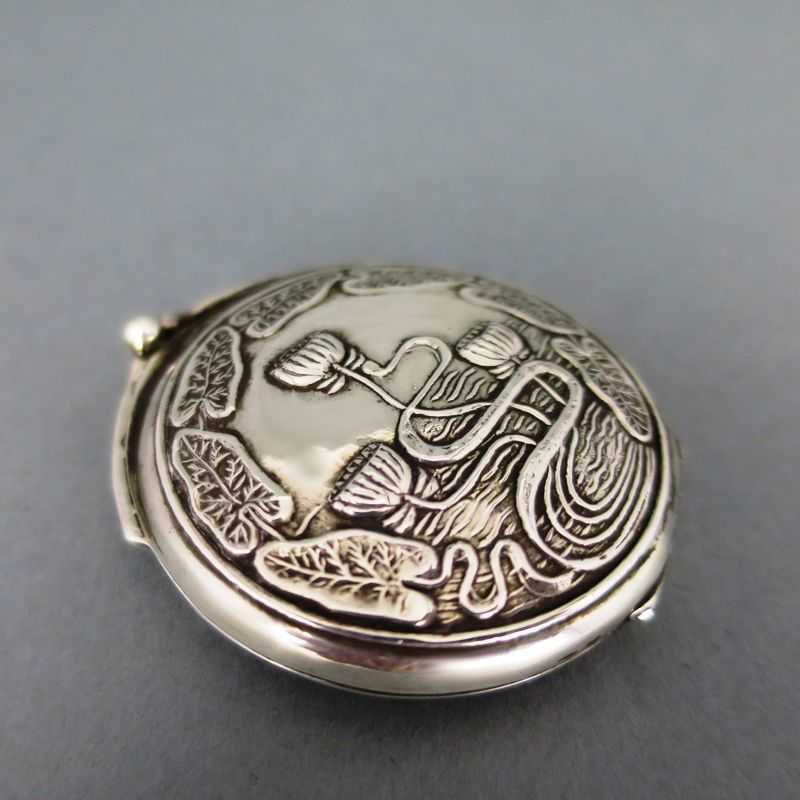 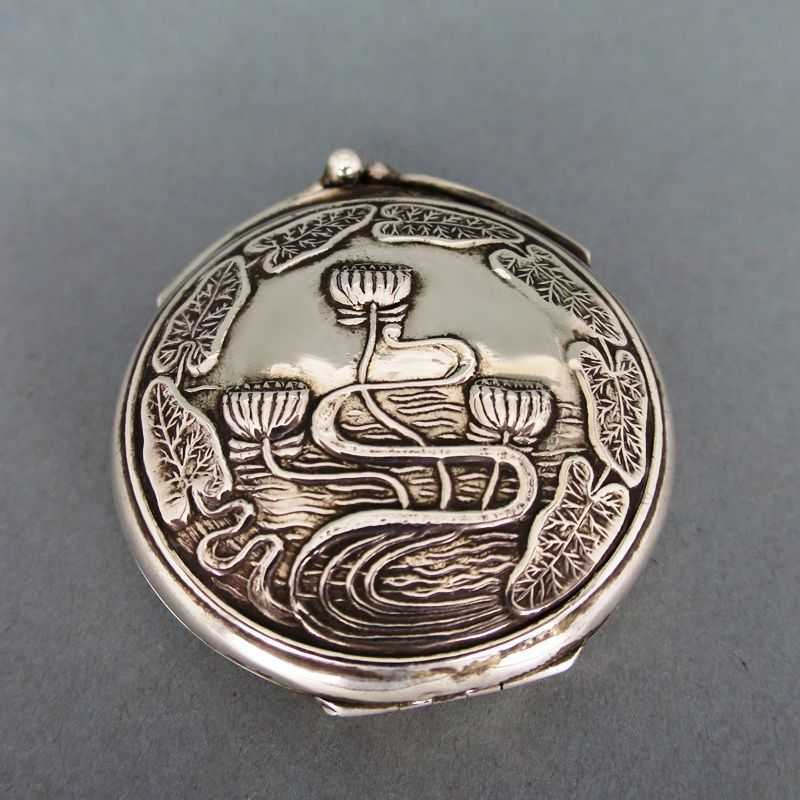 Small pill box with charming decoration. 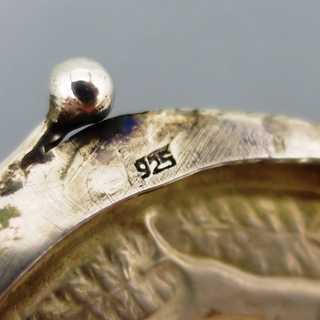 Round, flat shape with hinged lid. 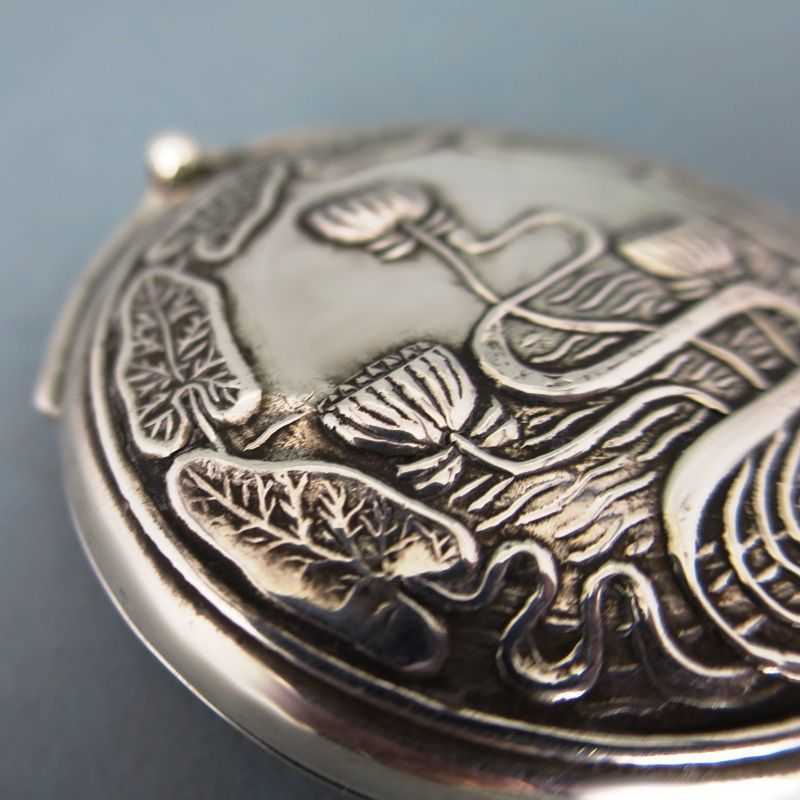 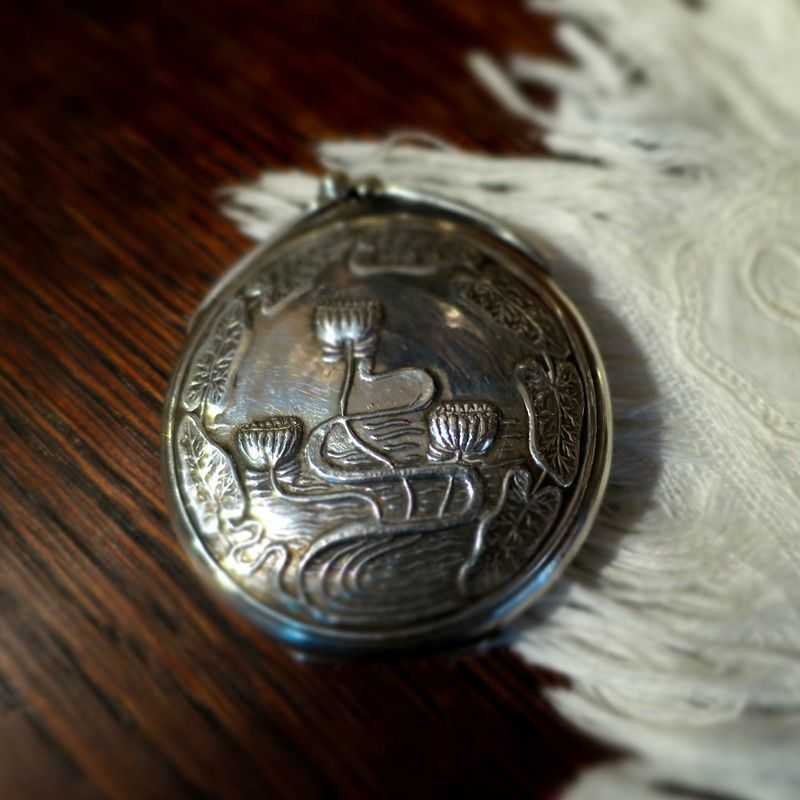 On the lid in relief depicted lotus flowers and leaves in a pond.